"Because in general the best predictor of police and police-involved shootings is a high level of violence in the community." Peter, do you have any data on the prevalence of police-involved shootings in Canada or Western Europe? 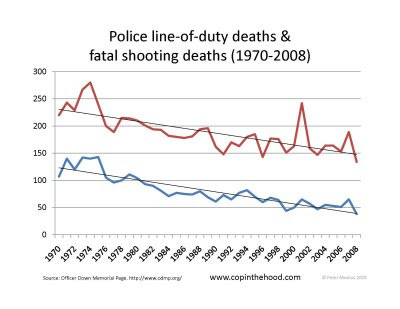 Even though policing, statistically speaking, is not as dangerous as some other occupations in the U.S., my guess is that police in America are much, much more likely to face physical attacks than their counterparts in other liberal democracies. Since handguns are not as common in Western Europe, perhaps I should have asked not just about police-involved shootings, but other violent attacks on officers.